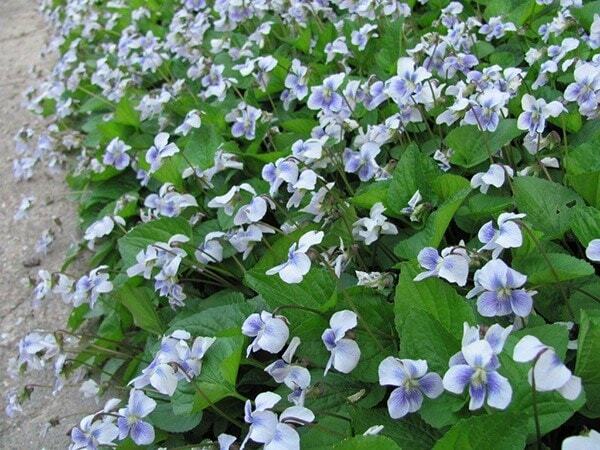 Perfect for carpeting a woodland floor, filling gaps at the front of the border, or potting up for the patio or terrace, these rarely available violets will soon form a good-sized clump, which in late winter and early spring will be topped with small, but very pretty flowers. These flowers can be used to make hand-tied posies, or can be used to decorate cold drinks, cakes or salads. Garden care: Incorporate lots of well-rotted leaf mould or garden compost when planting. Protect young plants from slug-damage using environmentally friendly slug pellets or beer traps. Deadhead the spent blooms to prolong flowering.